Esta configuração de país é perfeito para um get-a-way do mundo por um ou dois convidados. Localizado a apenas 16 milhas ao sul de Helena, este loft está convenientemente situado para aproveitar a cidade eo campo. Com um loft espaço aberto e garagem cheia abaixo, este é um espaço perfeito para 1 ou 2 pessoas. A cozinha é abastecido. Se existe alguma coisa que esquecemos que faria a sua estadia melhor - basta perguntar e faremos o nosso melhor para fornecê-la. Há uma plataforma fora do loft, com vistas maravilhosas sobre as Montanhas Elkhorn. Em qualquer direção que você pode caminhar, bicicleta ou quadriciclo. Norte de Jefferson City, você pode jantar no Chubby Restaurante no Clancy (uma atmosfera ocidental do divertimento, com boa comida), ou viajar um pouco mais para dentro Helena para organizações culturais, históricos e artísticos oportunidades de compras, restaurantes. A Helena Symphony (Helena Symphony sob as estrelas em julho - concerto gratuito fora em Carroll College), concertos de bandas comunitárias, Helena Stampede e Rodeo, o Farmers Market (sábados durante o verão e outono), os fabricantes de cerveja Jogos de Beisebol e (o meu favorito ) Montana Shakespeare in the Park (Helena e Boulder) são eventos maravilhosos todos a participar. Sul de Jefferson City, pode desfrutar da Boulder Hot Springs (10 milhas de Boulder), use uma das três minas de saúde muito populares na Bacia, ou desfrutar de pesca fantástica no rio Boulder. Além disso, você pode fazer uma viagem ao Parque Nacional de Yellowstone, Butte histórico ou a Grant Kohrs Ranch em Deer Lodge (não se esqueça de visitar a prisão Deer Lodge enquanto você está lá - um ótimo passeio), ou float / peixes do mundialmente famoso Missouri ou Madison Rivers! Por favor, veja nossa lista de outros vrbo para referências adicionais. Este é na mesma propriedade como nossa lista de outros vrbo 483.129. Pet só é permitido na garagem - rigorosamente aplicadas. Deve ser na coleira quando estiver fora. Entre em contato conosco se você estiver interessado em um aluguer de mais de 6 semanas - há uma taxa reduzida. Chuveiro único e área de banho separada. Perfect for a quick overnight stay. A little outside of town so we could see all the stars when we arrived. Had everything we needed amenities wise. Felt very homey and Darcy quickly responded to any questions we had. Also very clean! Would stay here again! Very comfortable and peaceful location! The owners were very accommodating and helpful. We hope to return again! 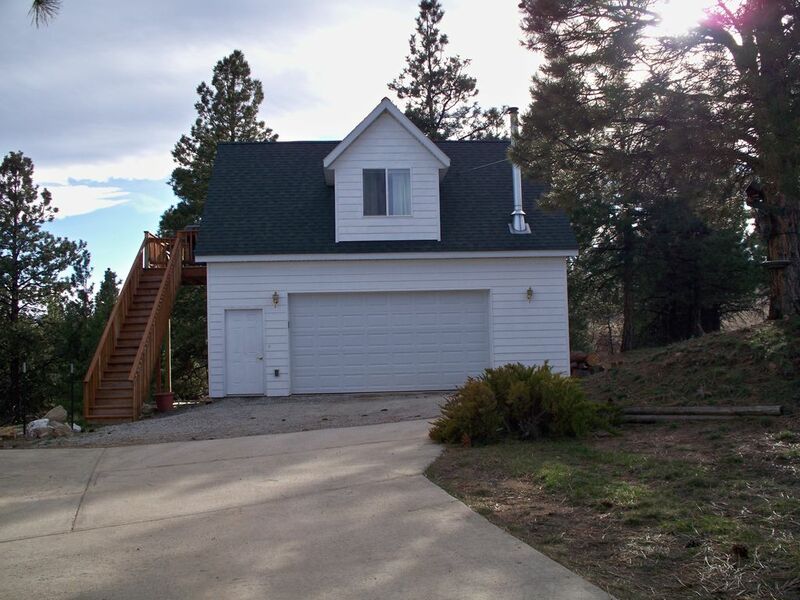 A cozy, quiet, loft in hills and just a short drive to Helena. Darcy is a wonderful host - she is personable, kind and helpful. She provided hiking suggestions that were a perfect for my brief visit and she recommended a hair stylist that gave me a polished new look. The loft is cozy yet there was plenty of open space to practice yoga. I appreciated the fact that it was equipped with all the kitchenware to prepare meals. I will definitely stay here again if I am in the area. This studio was clean and remote enough to feel like you were all alone. If you're just stopping off for the night you'll find the location convenient. The bathroom was huge and the overall size was just right for two guests. The view from the deck is a great place to enjoy your morning coffee or tea. At less than $100 per night it beats any hotel. The loft was a great place to stay for the night! It was fully stocked with everything we needed. Darcy was very responsive and we even got to park in the garage for the night! Very comfortable,really clean,really quiet,will stay here again. One pet limit. Must be on leash when outside. Allowed in garage area; not allowed in stairs or studio loft - strictly enforced. Laundry available. This rental has use of the lawn and picnic table adjacent to the deck stairs. The main backyard/fire pit/basketball area are rented with the main house are NOT available to guests renting the studio loft.